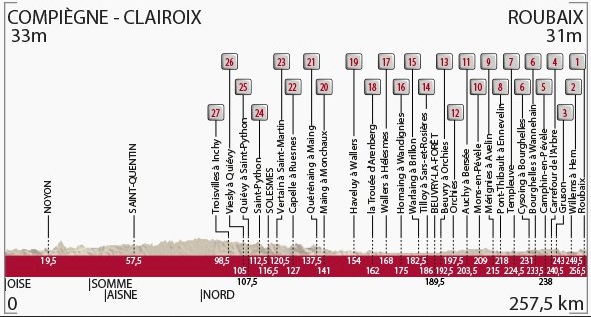 The best Sunday in April is tomorrow - Paris Roubaix! Set your alarm clocks this evening for an early morning rise because you will not want to miss the cobbles of the Paris-Roubaix bike race tomorrow, Sunday, April 10th! Although most of us traditionally wish for harsh weather conditions on race day, rain is expected to heavily soak the cobbles and the earth around their irregular shapes the day before the race, with clearing skies on race day. 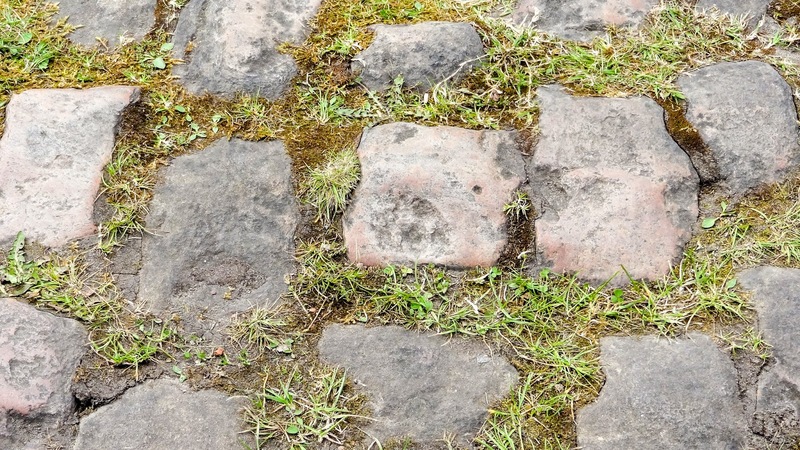 Whether the slippery moss growing over the cobbles will remain wet enough to cause crashes and added nervousness on race day, or whether the typically hard-packed dirt troughs along the side where riders attempt to seek refuge will instead be a muddy quagmire, is unknown. And exactly what makes this race such a spectacular competition in sport. I was driving home last night and happened to hear a piece about the Paris-Roubaix on National Public Radio (NPS). I have become so accustomed to the notion of cycling as a niche sport that I was quite surprised, "They are talking about cycling on the radio." A columnist from the New York Times was describing the race in laymans terms; trying to explain how riders can hate it and love it at the same time. I smiled at the truthful statement. 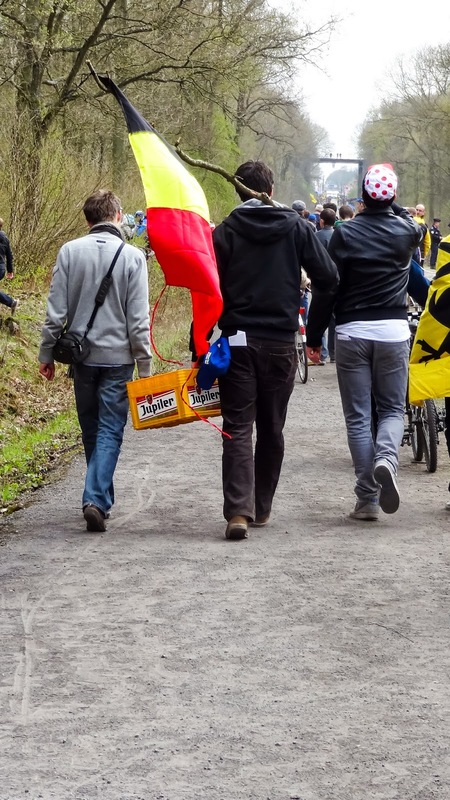 What attracts most fans to the Paris-Roubaix was not mentioned on the radio. The Paris-Roubaix makes and breaks legends of the sport. The Paris-Roubaix is so tough on bikes that the bikes are nearly redesigned for this one specific race. The Paris-Roubais is so tough on men that handlebars are specifically wrapped to avoid the unavoidable painful hand blisters from miles of jarring roughness over stone. Men arrive at the finish line visibly caked in mud, or dust, while others are left strewn on the side of the road in tears, or broken in pain. The Paris-Roubaix is epic cycling. 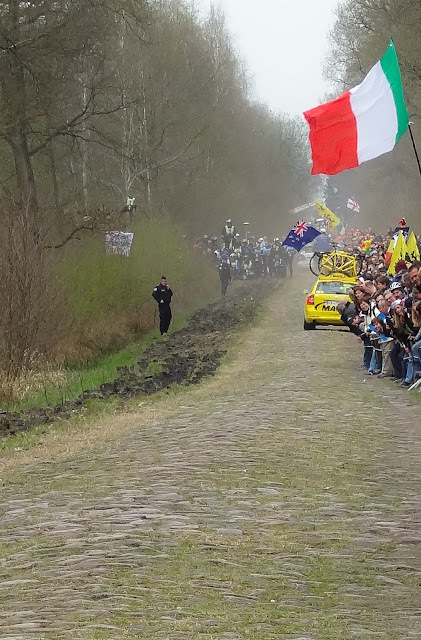 Although I am a huge fan of the Tour of Flanders (and thrilled at last weekend's win by Peter Sagan), the Paris-Roubaix race is the best example of a one-day Spring Classic. It comes down to one man on one day under one sky, and a lot of luck. You never know what will happen at the Paris-Roubaix. Never. And that is why you can save your time and not read all those quickly compiled predictions on who will win the race and instead use that time to get an extra hour of sleep. Because we will be getting up very early in the morning (4:35-10:00AM ET). Pave sectors of Paris Roubaix 2016. Watch it on TV: Thank you NBC Sports! (4:35-10:00AM ET). Or NBC Sports Live Extra on Roku / Apple TV, etc. Watch it online: Thank you CyclingHub.TV (good picture clarity), and Steephill.TV (offers many choices), and CyclingFans.com. Read the live written coverage by Cycling News (live link will be provided at the top on race day) on your phone while your screen is occupied with race coverage. I read the text to really find out what is happening out on the road. Get together with friends. In Denver, Colorado, The Bicycle Cafe is hosting a Paris-Roubaix viewing party at 6:00am at their bike shop/cafe. Official timetable (and debut of cobble sections). Route details: 257.5km, 27 secteurs pavés, 204.7 kilometers of pavement and 52.8 kilometers of stone. 25 teams, 8 riders each, 200 riders Paris-Roubaix Startlist or riders. Last year's winner John Degenkolb will not be riding in 2016. List of previous winners. ★★★★★ 27 cobble sections (sectors). Only three 5-star sections, which are: #18 Trouée d’Arenberg (at km 162, 2400m in length); #10 Mons-en-Pévèle (at km 209, 3000m in length); and #4 (closest to the finish) Le Carrefour de l’Arbre (at km 240.5, 2100m in length). 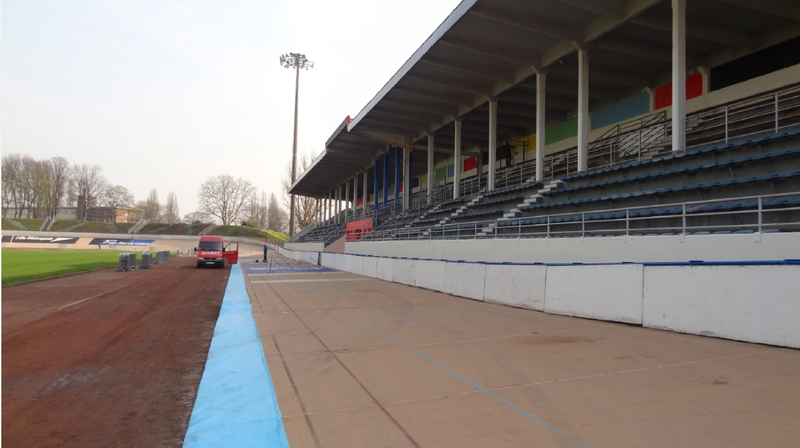 Race starts in Compiegne, France at 12:00 CEST, and finishes inside the old Velodrome in Roubaix. Nicknames: Paris-Roubaix = Queen of the Classics (La Reine), The Hell of the North, or La Pascale. 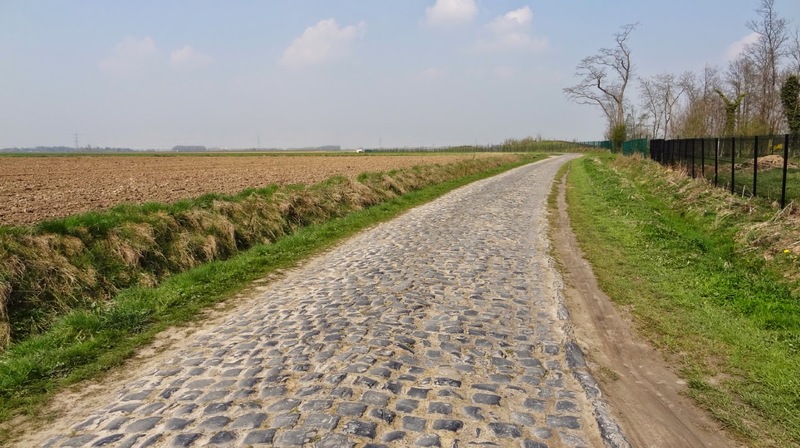 The Paris-Roubaix is considered a Cobbled Classic. 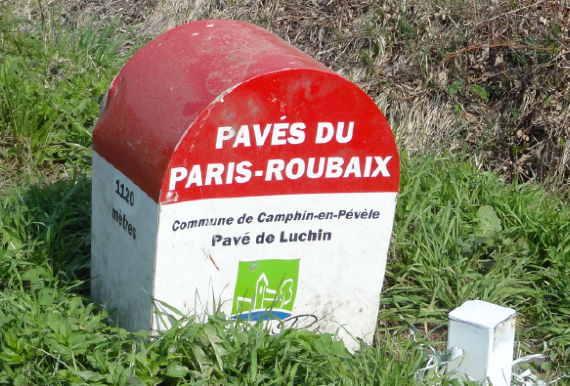 The Paris-Roubaix is also one of the 5 cycling Monuments and the only one in France. What time do you really need to get up? Well, the lead riders should hit the first 5-star cobble section - Arenberg Forest (Début de secteur pavé de la Trouée d'Arenberg. secteur #18) at 14h31 in France, or 6:31am Mountain Time in Colorado (8:31 EDT). You won't want to miss it. From this point on, watch for crashes to take out a few of the top contenders. Then expect real race action to happen at about 40km to go, and all the way to the finish! Check out Tom Boonen's bike for the race: Tom Boonen's Specialized S-Works Roubaix SL4 reviewed by Bike Radar. Watch GCN bike tech coverage for the Classics. Jasper Stuyven gives the perspective of the cobbles and what the riders will eperience for 52 kilometers of the race on Sunday in this video. No wonder so much pressure is on the mechanics! Watch this very short video of the Lotto-Jumbo team going under the train trellis in the Arenberg Forest. Watch GCN's fun as they get out and ride on the cobbles for their 2016 Paris-Roubaix. If you want to know about the top-10 hopefuls to win Paris-Roubaix watch this boring video by Cycling News. Watch this emotional classic video: slow-mo over the cobbles. View the photography of Sirotti for Steephill.TV. Wonderful Photography of the teams pre-riding the Paris-Roubaix in the Arenberg Forest. Apparently I have memory problems with two things: pain and remembering how much fun I had doing something. The best part about blogging is recording when I go to bike races. I recorded that I REALLY liked the Paris-Roubaix. And I took a lot of pictures. I was a fan at the Paris-Roubaix including My Paris-Roubaix driving instructions (viewing in Arenberg Forest and Carrefour l'arbre). 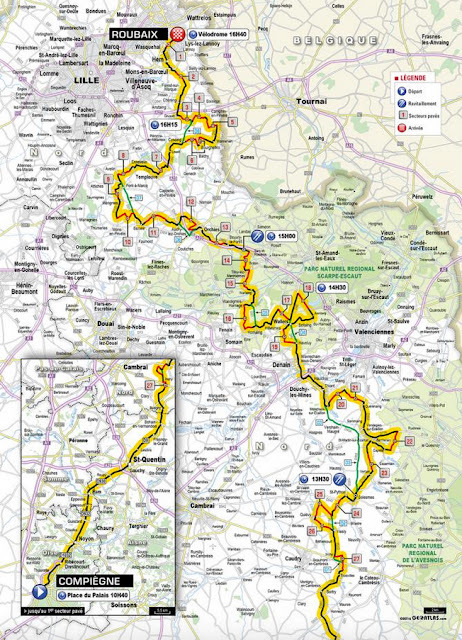 In an effort to make the race very difficult, the route links up sections of cobblestones strung out along northern France. These huge stone paths are often in the backyard of homes or passages through farm fields used by locals. You need to know the terrain and route very well to find the start and finish of each pave section. 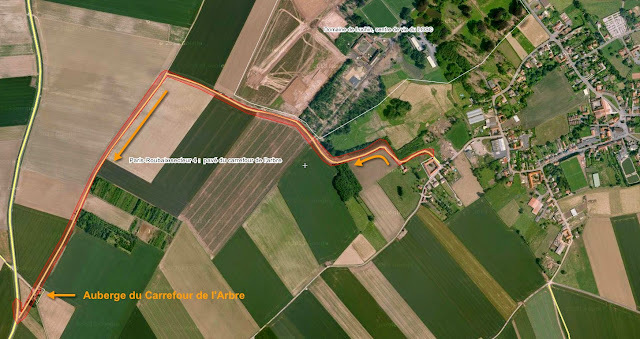 This is an aerial view of the infamous Le Carrefour de l’Arbre section of pave. Who do I want to win? Of course I pick the legends Boonen or Cancellara!